Famous Three Cranes Brand Guangxi Liubao Tea! 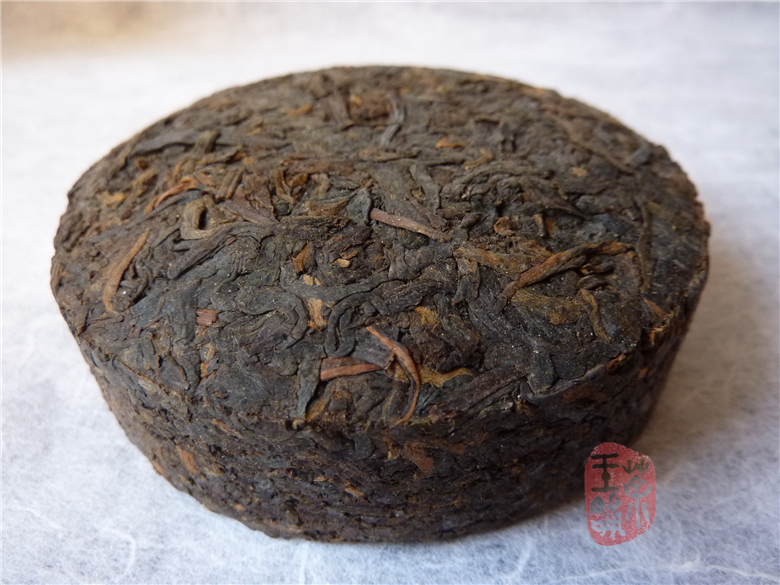 Guangxi Wuzhou tea factory were established in January 18, 1953. Factory is located in Wuzhou City, Guangxi, close to Yuanyang river. The plant is surrounded by mountains, verdant forests, the environment is very suitable for Liubao tea processing and storage. TF has its own stable base of raw materials, can effectively control pesticide residues to ensure that products meet national standards. "Three Crane Brand", "Hegang brand" is their registered trademark. 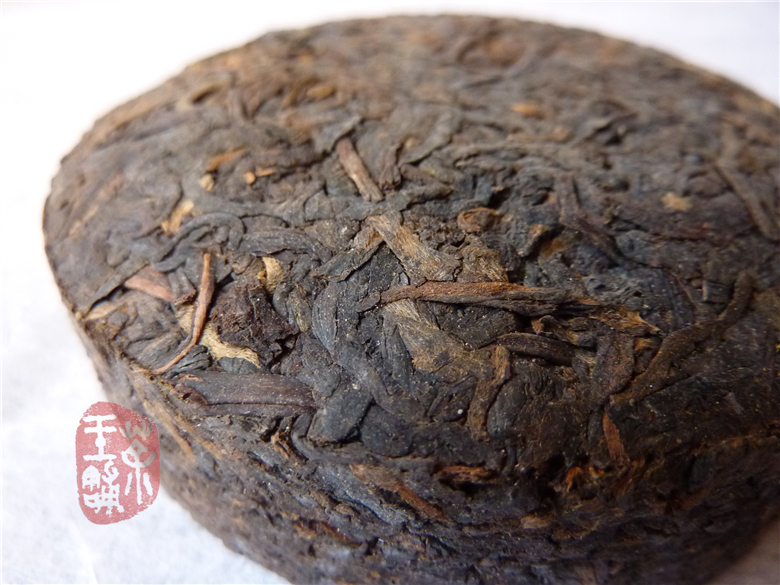 As their first refined packing 100g small cake, using premium grade tea leaves, slight golden spores formation, bright red color liquid, unique betelnut flavor, the first choice for your collection. 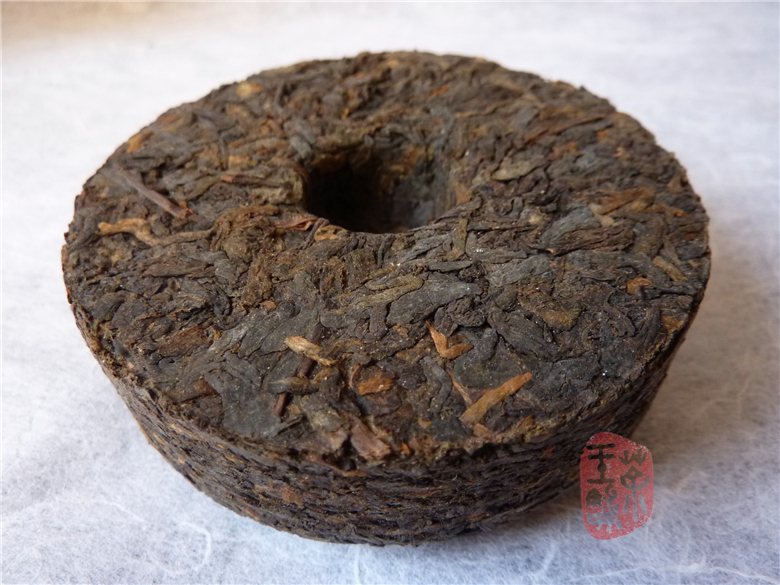 This cake was pressed in 2005 and stored two years in Wuzhou TF warehouse.